Juan Antonio Roca takes Marbella Town Hall to court | Marbella Marbella – Adelante! 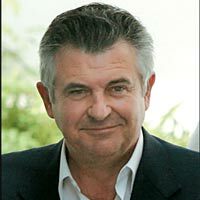 Despite being at the centre of the massive Malaya corruption case and facing a whole series of other charges related to real estate irregularities, and being accused by Hacienda of laundering at least 12 million €, the ex Municipal Real Estate Assessor of Marbella Town Hall, Juan Antonio Roca, is claiming unfair dismissal from his post. It’s been announced that Social Court 11 in Málaga will hear the case on December 15, but before it gets underway the judge will ask those involved if they want to reach an out of court settlement. The legal representatives from Marbella Town Hall previously tried to reach an agreement last September with Roca via the CMAC arbitration service of the Junta de Andalucía, without success. Roca’s defence claimed that his employment was ‘suspended’ while he was in prison, and that any dismissal would be unfair. Roca is asking for his job back, or a payment in compensation. The Town Hall sacked him after opening disciplinary proceedings for ‘the repeated and unjustified fault of failing to show for work’ since March 31 2006, the day he was arrested in the Malaya case.